Bay Area drivers who want to avoid traffic backups on southbound Interstate Highway 680 will soon have a faster way to travel between Pleasanton and Milpitas. Drivers who sign up for a FasTrak account starting today will receive a $10 toll credit to use on the new I-680 Express Lane set to open next month. Only solo motorists will be required to pay the electronic toll; carpools, hybrid vehicles with a valid sticker, transit vehicles and motorcycles will continue to have free access to the high occupancy toll lane. Express lanes already exist in Southern California in Orange and San Diego counties; the 14-mile express lane will be Northern California's first when it opens Monday, Sept. 20 along southbound I-680 between state highways 84 and 237. Revenues from the southbound express lane will go toward transit service along the I-680 corridor and a future toll lane project on northbound lanes, according to the project's website. A similar express lane corridor between Pleasanton and Livermore along Interstate Highway 580 is currently under study and could open as soon as 2011. The existing I-680 southbound carpool lane was converted to the express lane, which incorporates overhead electronic signs that will display the toll assessed to drivers. Toll costs will vary based on real-time traffic levels to ensure smoothly flowing traffic, meaning tolls will be higher during peak periods when the road is more congested. "We're making it easier for people to decide to get FasTrak," said Alameda County Supervisor Scott Haggerty, who is also chair of the joint powers authority that will operate and administer the express lane. To help reduce illegal entry, the express lane is separated from regular lanes by triple solid striping, except at the three designated entry and exit points. "The express lane means that even if drivers don't use a bridge, they now have a good reason to get FasTrak in order to avoid congestion," said Union City Mayor Mark Green, who is chair of the Alameda County agency that will operate the new express lane. "Clearly, now is the ideal time to get FasTrak," he said. Drivers who open a new FasTrak account between today and Oct. 20 will receive a $10 credit good toward travel on the express lane. The credits cannot be used toward bridge tolls and will expire Nov. 20 if drivers do not travel on the express lane before that date. 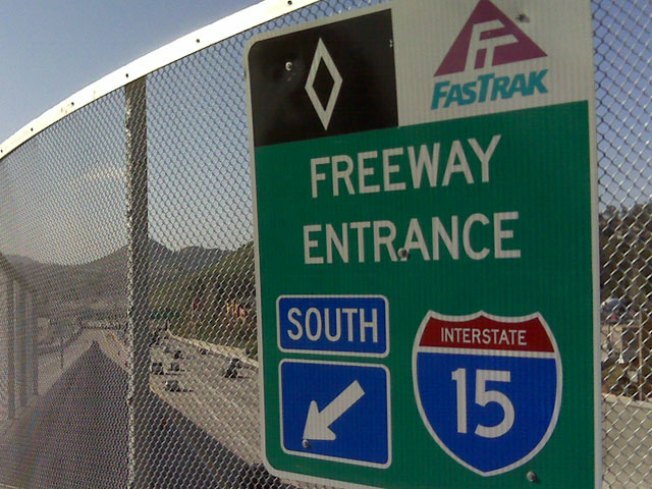 Motorists can set up a new FasTrak account by calling 511 or visiting participating businesses, including Costco, Safeway and Walgreens stores. Full details regarding the promotion can be found at www.680expresslane.org/promotion.